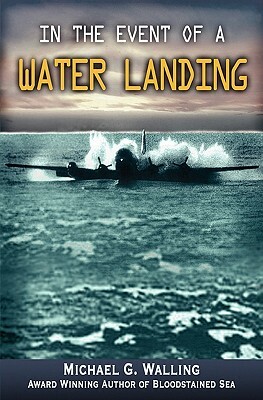 In the Event of a Water Landing At 8:15 A.M. on October 14, 1947, Chuck Martin, the 26-year-old pilot of the Boeing 314 flying boat named Bermuda Sky Queen, attempted to do what had never been done before - land an 88,000 pound aircraft in thirty-five-foot high seas. The lives of sixty-eight passengers and crew on board depended on his ability. A mile away was the 327-foot US Coast Guard Cutter George M. Bibb. The cutter's crew watched as the plane descended. If Sky Queen survived the landing, getting the passengers to safety would be their job. Nine years later and half a world away, Captain Richard Ogg, flying the Pan American Airways Stratocruiser Sovereign of the Skies, was forced ditch the aircraft along with its forty-three passengers and crew. The Coast Guard was nearby. Manning Ocean Station November was the US Coast Guard Cutter Pontchartrain. Once more, rescuing the survivors would be in their hands. In the Event of a Water Landing tells for the first time the full stories of the Bermuda Sky Queen and Sovereign of the Skies rescues, the only two completely successful open ocean ditchings in Commercial Aviation history. These two stories encompass many facets of ditchings: bad weather, engine failure, horrific sea conditions, and indomitable courage in the face of death. Between these two are tales of other ditchings as well as the journey we humans have undertaken from the beginning of transoceanic flight to today. Using the voices of passengers, flight crew, and those who rescued them, an amazing tale unfolds. Their vivid memories, interspersed with contemporary news reports, serve to flesh out the unemotional entries from official investigations. These ditchings and rescues embody the hopes, fears, and courage of people facing death hundreds of miles from land and the audacity of the men who risked their own lives to save them.